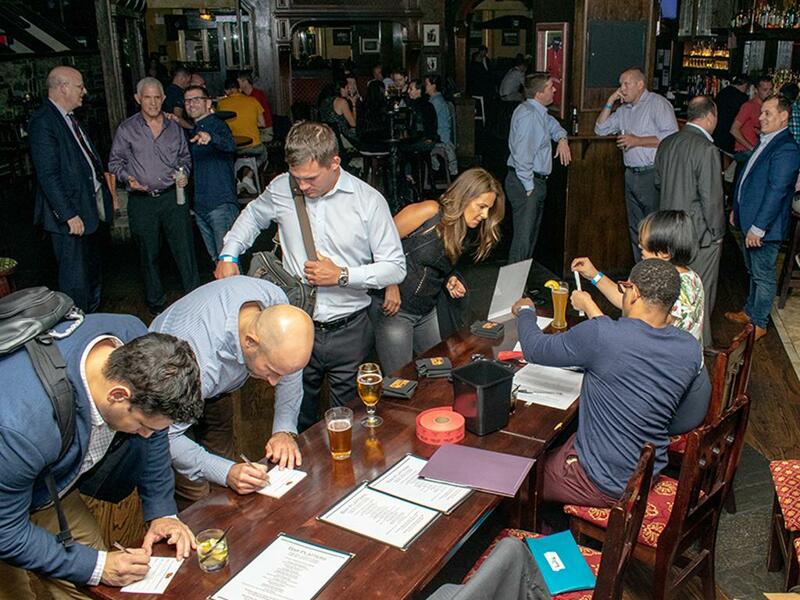 Over 100 Beat the Streets supporters were in attendance for the organization’s third annual Tailgates & Tonics fundraising event Thursday evening at Tír na nÓg Times Square. The location – an establishment with a name that means “Land of the Young” in Irish mythology – was a perfect choice for an event designed to raise money for BTS’ youngest members, who participate in Beat the Streets’ middle school Junior League. Indeed, a youthful energy was in the air as members from all over the NYC wrestling community came together for a fun night and a worthy cause. In total, the event raised nearly $12,000 for this year’s Junior League season – almost $2,000 more than the 2017 edition of the fundraiser. "It was really amazing to see so many people come together to support the Junior League,” said Beat the Streets Junior League Director Penn Gottfried. “While it was a social event, you could tell by talking with everyone that the true cause of supporting our middle schoolers was at the forefront of everyone's thoughts. I would like to thank everyone that came and I'm excited to kick off our Junior League season next week." Halfway through the evening, Beat the Streets Executive Director Brendan Buckley took a moment to speak to the crowd, thanking everyone for attending and reminding them of all the ways they can support BTS outside of donations, like coaching a team, mentoring a student-athlete or volunteering at an event. He also announced the date of one of BTS’ next fundraisers – the Step Into The Circle adult wrestling tournament on March 17, 2019. At the end of the evening, attendees that purchased raffle tickets had the chance to win one of four prizes that were donated to the event. The first two prizes were sent by the Minnesota Vikings and Los Angeles Rams - whose Thursday Night Football matchup was the focus of our “tailgate” - while the final two were donated by Roxiticus Golf Club and the New York Knicks. To view photos from the event on Facebook, click HERE.